Small business proponents aim to work with Internal Revenue Service Commissioner Charles Rettig as a key ally on regulatory and administrative issues, citing his background as a tax lawyer representing business clients. The newly confirmed commissioner has made clear as he begins his new job at IRS headquarters that he seeks to help small businesses and their accountants and lawyers in dealing with the IRS. He laid down a marker of sorts in his confirmation hearing when he described a passion for helping small business both as a tax lawyer and the son of a heating and air conditioning business owner. "I grew up in a small business. I believe that small businesses are the backbone of this country," Rettig told members of the Senate Finance Committee. Proponents for small business, including several of Rettig's friends, say they believe he will move quickly to try to help small business owners by providing timely guidance on key issues such as the new 20 percent deduction for business income and by working to expedite audits and tax dispute resolution. Steven Toscher, Rettig's former law partner and longtime friend, said the new commissioner "understands and appreciates the challenges faced by small businesses every day." "I think you can expect a commissioner that will work towards reducing these challenges while trying to increase voluntary compliance through clear, timely guidance and the fair and effective administration of the tax laws," Toscher said in an e-mail. Jack Mozloom, senior vice president of the Job Creators Network, a non-profit advocacy group for small businesses, said in an interview that business owners and their representatives would reach out to Rettig on a range of issues aimed at cutting taxes and easing regulations. "We hope to work with him. What we want from the IRS is a more customer-friendly approach to enforcement. What we think would be great is if they helped a small business that is found in violation of a regulation to correct the violation before they are punished," Mozloom said. Several lawmakers said they want to work with Rettig to help small businesses on tax-related issues. Representative Vern Buchanan of Florida, chairman of the Ways and Means Tax Policy Subcommittee, said in an interview that Rettig could help by backing more targeted incentives and streamlining audit requirements and paperwork. "Definitely. That will be big. Anything we can do to help small businesses be successful, especially startups, is really critical," said Buchanan. Senator Benjamin L. Cardin of Maryland, the top Democrat on the Small Business and Entrepreneurship Committee, asked Rettig at his confirmation hearing whether he would testify before the small business panel. Rettig made clear he would be willing to accept such an invitation. With such gestures and an emphasis on small business concerns, Dennis Brager, a Los Angeles tax lawyer and a friend of Rettig, predicted the commissioner would cultivate allies in Congress. Brager said Rettig could build a stronger case for more funding by making clear that the IRS will improve customer service and provide more leeway to businesses on audit and enforcement issues. "The commissioner sets a tone for the enforcement of the tax laws. Having been on the receiving end of tax enforcement, Chuck, I think, understands that sometimes enforcement is done in such a way that it's extremely disruptive to small businesses. He can set the tone from the top," Brager said. 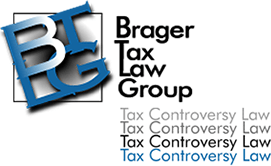 For example, Brager said Rettig would be sympathetic to efforts to encourage IRS auditors and attorneys to make more targeted requests for documents from small business owners to resolve disputes. He said there were problems with lengthy IRS document requests that "put a taxpayer through unnecessary hoops in terms of producing records that are not particularly relevant to the investigation at hand." Darien Shanske, a professor at the University of California at Davis School of Law, said Rettig's background as a tax lawyer and past chairman of the IRS Advisory Council would help him advance a small business agenda. "The main way he would help small business would be through generally improving the operation of the IRS, to the extent it can be more responsive and to the extent it can issue new regulations faster and then respond to feedback faster," Shanske said. Steven M. Rosenthal, a senior fellow at the Urban-Brookings Tax Policy Center, said Rettig likely would try to "help small enterprises in interfacing with the government and making life easier administratively." He said it was unclear whether Rettig would choose to weigh in with other IRS executives to settle policy questions such as defining the businesses that qualify for the 20 percent business income deduction. Key players on such issues include William M. Paul, IRS deputy chief counsel and acting chief counsel, and Michael J. Desmond, President Donald Trump's nominee to be IRS chief counsel.